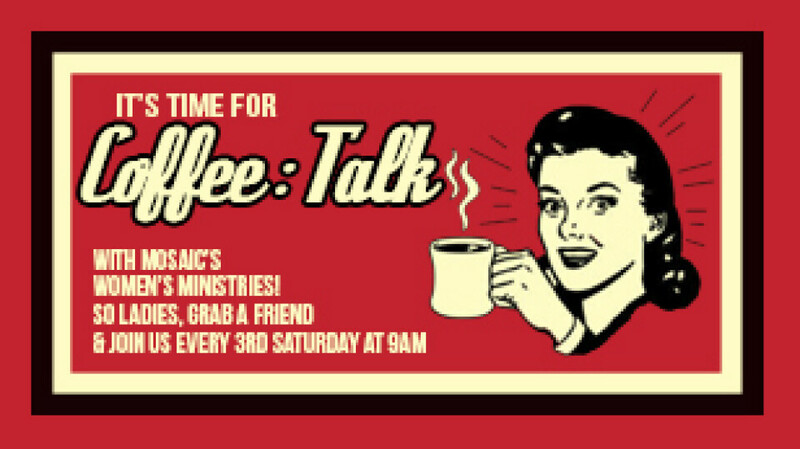 It's time to get together and fellowship for COFFEE:TALK! Please join us every 3rd Saturday morning. Some times we're at Mosaic, and sometimes we're right around the corner at a local coffee shop, so send us an email or check the calendar for the latest location! We can't wait to catch up with everyone, so grab a friend, and we'll see you there!